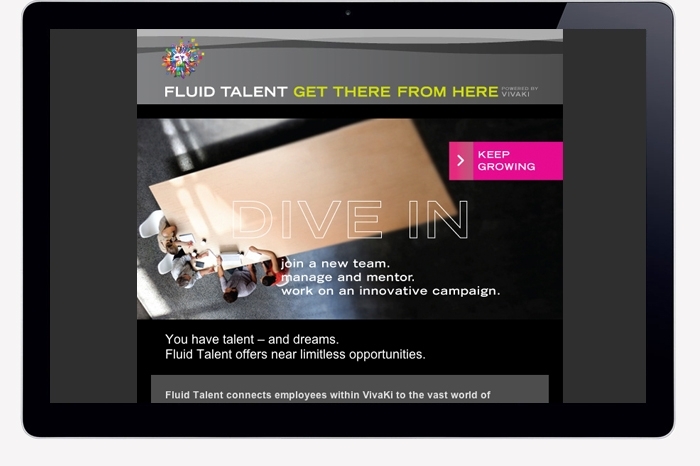 Fluid Talent opens a world of professional possibilities to employees and managers within the VivaKi family. 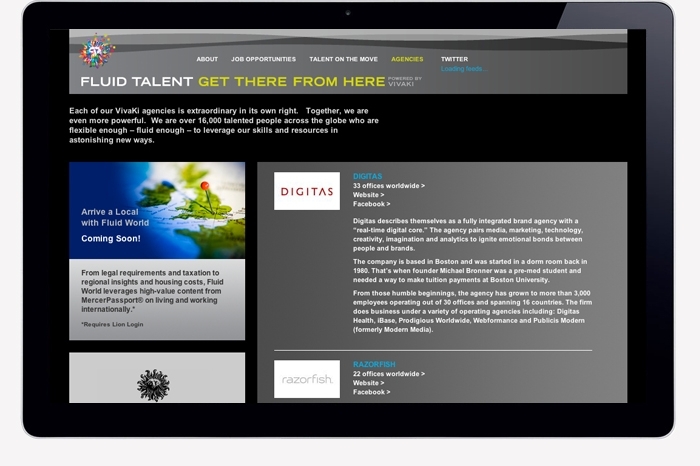 It is designed to find the best fit between our business needs and your talent and career goals. 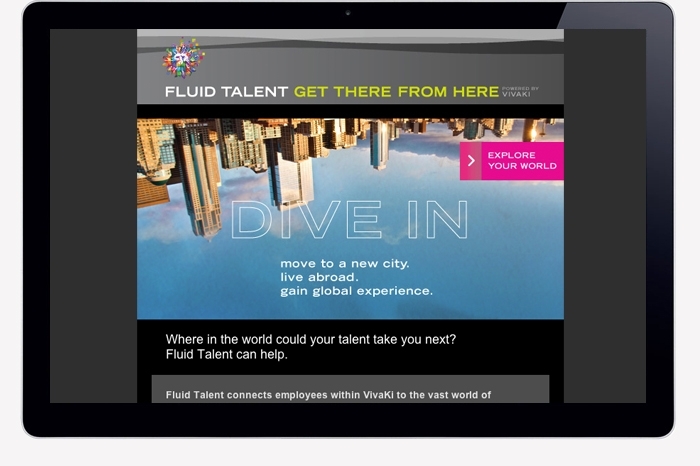 Fluid Talent was designed to be an employee’s next great opportunity which might be half way across the world or right down the hall. 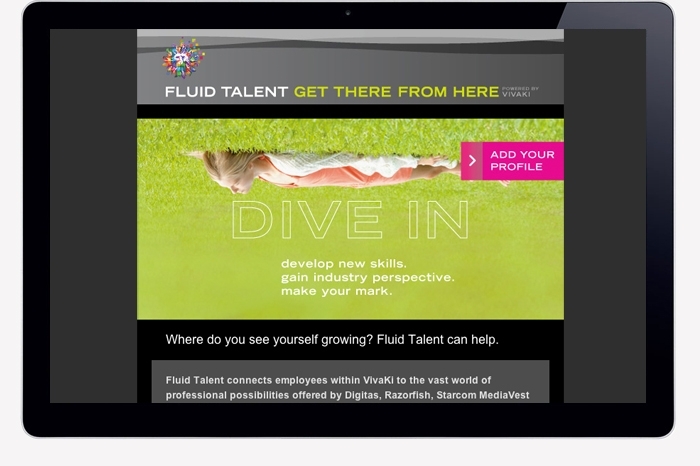 Talent is a valuable asset to any business, at Fluid Talent the new team member might join you from a sister agency or from her desktop, working virtually from afar. 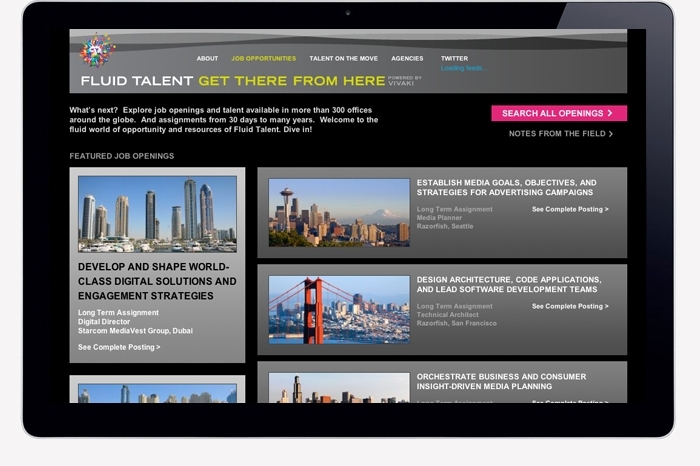 The website enables short-term assignments and/or major career moves. 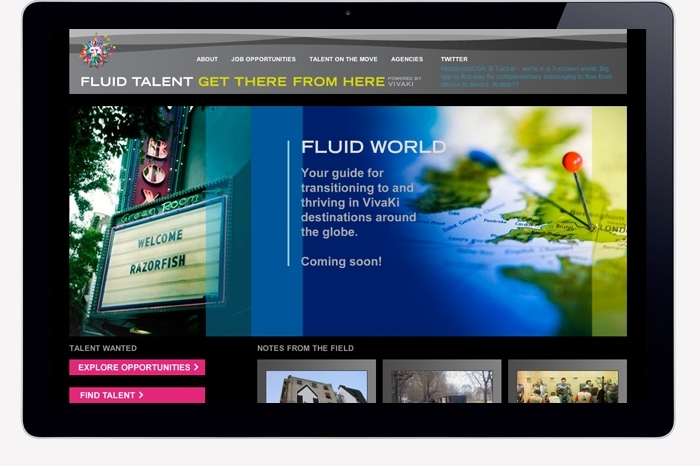 The Fluid Talent campaign promotes opportunities for employees and resources for managers. 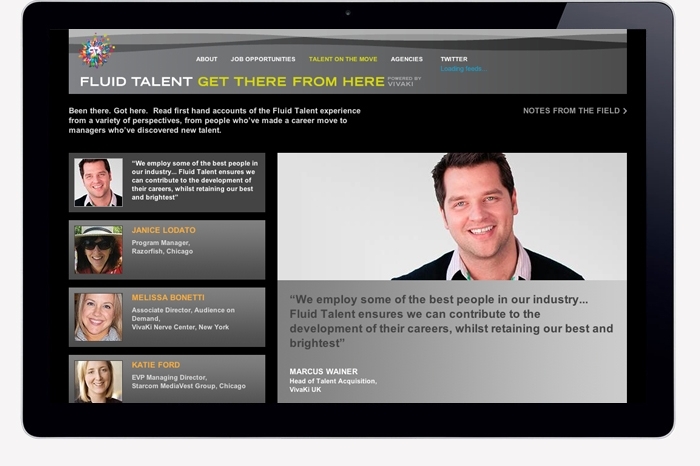 The web, email and social media were designed seamlessly to support this message and get the word out.